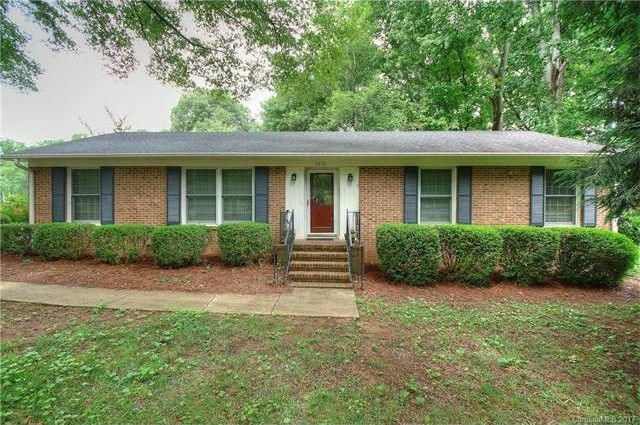 Well maintained all brick ranch home with carport, extra storage, shed and fenced yard. Home features large eat in kitchen with formal living room and dining room. Family room with wood burning fireplace. 3 bedrooms and 2 full baths. Sun room over looks beautiful mature backyard. Seller is also offering a home warranty. Bring your buyers as this home will not last long on the market. Directions: From the center of Mint Hill travel on Lawyers road towards I-485 to Left turn on Fox Hollow... this will be the 4th house on left. I-485 to lawyers road exit and turn towards Mint Hill, turn right onto Fox Hollow and home will be 4th on left.